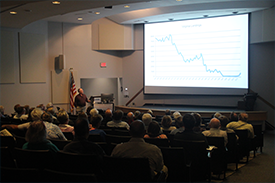 Reservations to this free public lecture series are required due to limited space. Please register online (see individual lectures) or call 804-684-7061 for further information. Return here for details on upcoming lectures, which are generally scheduled for the last Thursday of the spring and fall months. Not able to make it in person? Visit our registration pages to sign up to watch online! 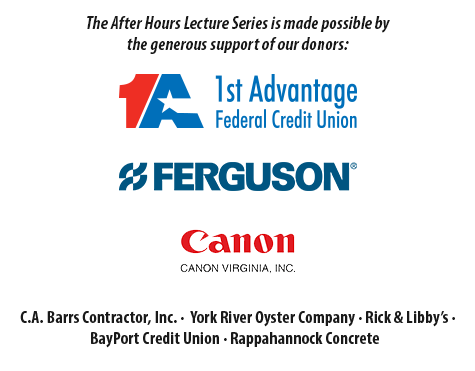 All After Hours lectures begin at 7 pm in McHugh Auditorium in Watermen's Hall on the VIMS campus in Gloucester Point. View directions and a campus map.